Smallest Number of Open Ski Resorts for 40 Years? Only six ski areas remain open in the northern hemisphere at present, in three countries - Austria, Switzerland and Italy. This is believed to be the lowest number of ski areas open north of the equator at any time of year, in any year, since summer skiing really got started in the 1970s. Conditions are challenging for glacier areas planning to re-open shortly too, with the Kitzsteinhorn Glacier at Kaprun telling www.skiinfo.co.uk this week that although they hope to re-open later this month or in early October, they do need a substantial snowfall to make this possible. The Pitztal glacier in Austria, the country's highest, is the only one currently committing to an opening date - a week on Saturday, September 24th. The ski centre boasts a special snow making system operated only by itself with a similar model in Zermatt (www.ide-snowmaker.com), which can produce snow even at positive temperatures if needed. It was a similar picture at other ski areas asked but if conditions do improve in the next few weeks about 10 glacier centres could be open by this time next month, including Tignes in France; Engelberg and Glacier 3000 above Gstaad and Les Diablerets in Switzerland. Austria will most likely see the most glacier open for October season start festivals as usual, with Solden, Stubai, Dachstein, and Flattach among those likely to join the already re-opened Molltal (90cm) and year-round Tux glacier (40cm) ski areas. Cervinia in Italy normally opens for October weekend snowsports too. Resorts in Norway, Sweden and Finland will be looking at starting snowmaking soon too, made possible by the typically lower temperatures at their northerly latitudes which can lead to October openings in good years. Currently the rate of thaw appears to have slowed at least, with Saas Fee, one of the six still open, reporting only a 2cm decline in snow depth over the past seven says from 53cm to 51cm and indeed it reports a centimetre of fresh snow has fallen in the past week - better than nothing. This compares to thaws of 20-40cm a week at the peak of summer. Zermatt (20cm) is the other open ski area in Switzerland, as it is year round, with Passo Stelvio and Val Senales the two Italian choices, although the latter reports only a 5cm snow depth. In North America, Timberline in Oregon which was open until the end of August as usual plans to re-open in a few weeks after its annual maintenance closure. It should not be long either, weather conditions permitting, before some of the world's highest ski areas such as Loveland and Keystone in Colorado begin snow making, this can happen as early as late September with areas opening sometime in October. In the southern hemisphere it is spring Skiing conditions all round. Australia continues to be the country that has reported the most consistently good snowfall all winter, with resorts reporting up to another 10cm of fresh snow in the past 48 hours and bases still typically around 50-100cm. 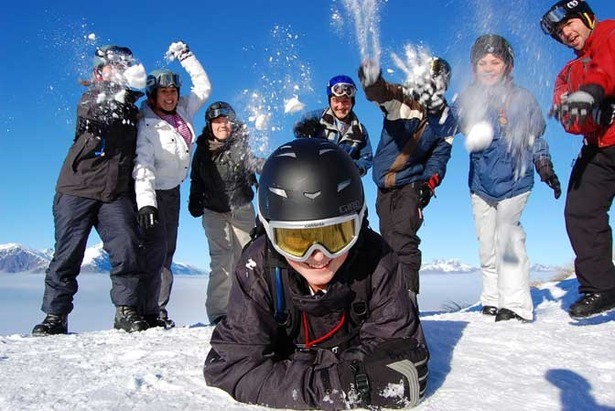 Resorts in Argentina, Chile and New Zealand remain open some like Catedral in Argentina (240cm), Portillo in Chile (170cm) and Coronet Peak in NZ (125cm) reporting healthy upper-slope depths that are likely to see them skiing and boarding into October if they wish.